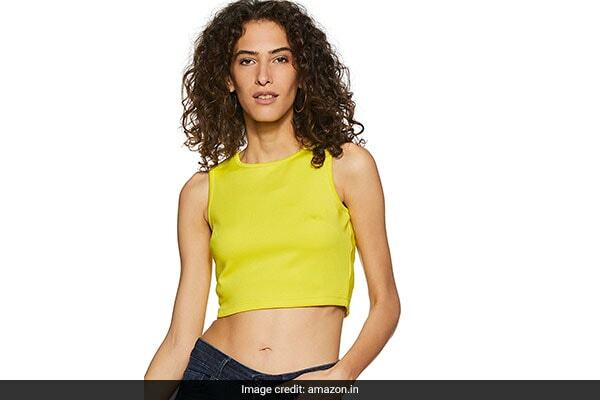 We all know the crop top is great, and thank its creators for giving it to us. But to say that it's like any other summer wardrobe essential would be a mistake. Because it's so more than that. If you're willing to experiment, you can turn this teeny-weeny piece of cloth into something entirely different; into a blouse replacement for your saris, to give your desi aesthetic an Indo-Western twist (but do it well and no one will even know). 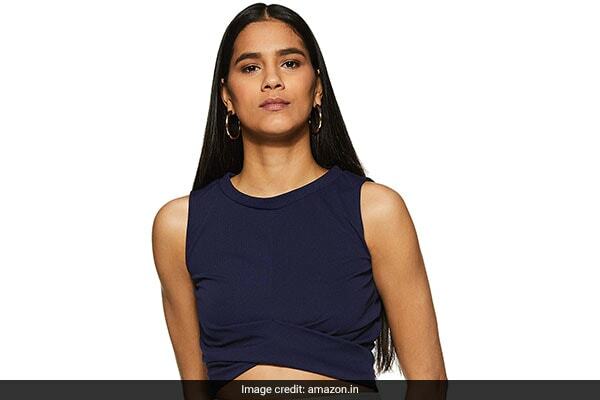 Ahead, the 10 best crop tops to wear as sari blouses or by themselves—we cover the whole range, from block-print desi tops to oomph-oozing off-shoulder numbers. Take your pick. 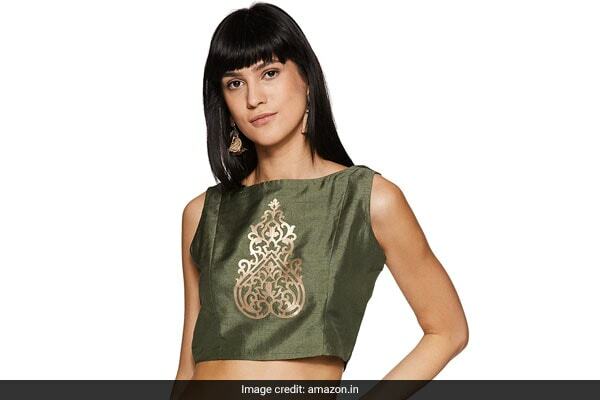 The Indya Women's Floral Regular Fit Top combines a bottle-green silk base with an intertwining gold pattern right in the front for a regal aesthetic. 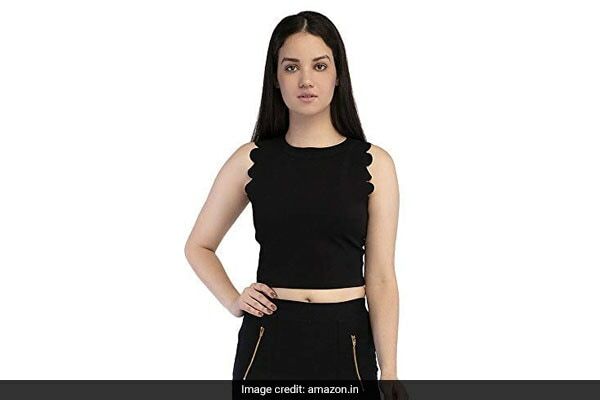 PRO TIP: this is ideally teamed up with all-gold, black or white saris. Don't forget to add finishing touches with gold earrings. 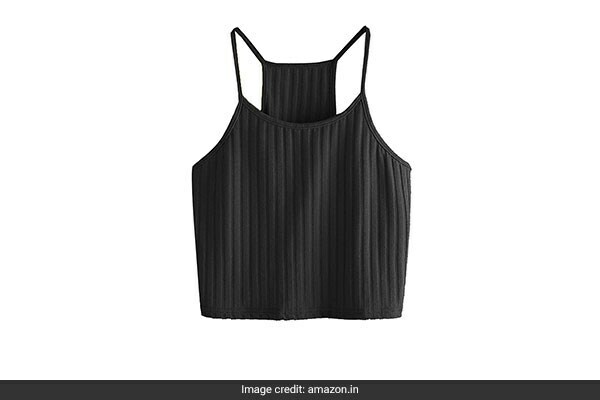 A sleeveless body blouse from Vero Moda that's ideal to pair with saris. 100% synthetic, and should be hand-washed. PRO TIP: since this is a completely plain piece, you should pair it with multicoloured or generously patterned saris. Reds, greens, blues and blacks make great complements. Red and gold is perhaps the most regal colour combination there is-- and this crop top brings it to life. 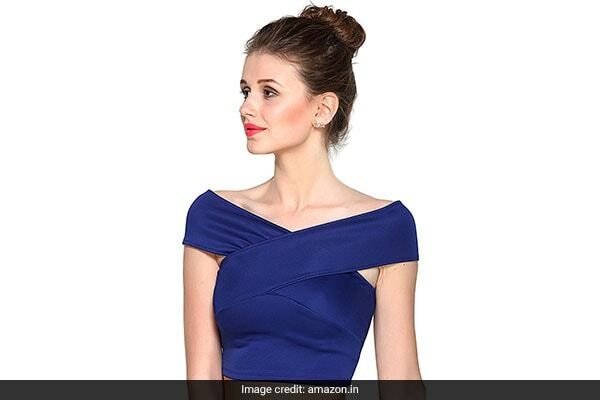 Wear it with a sari, long skirts, jeans, what have you! PRO TIP: we recommend contrasting pairings with golds, blacks, creams and pale whites. Accessorize with red + gold embellishments. 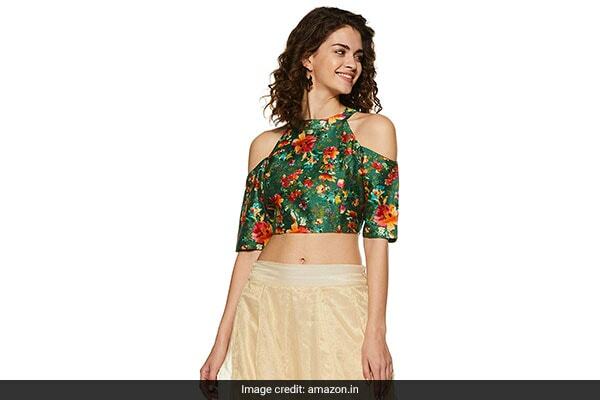 The Indya Women's Floral Regular Fit Top is a floral number that's sure to turn heads with or without a sari. Its green base + orange highlights + cold shoulders scream spring. PRO TIP: wear it with silky creams, oranges, blacks, and whites. 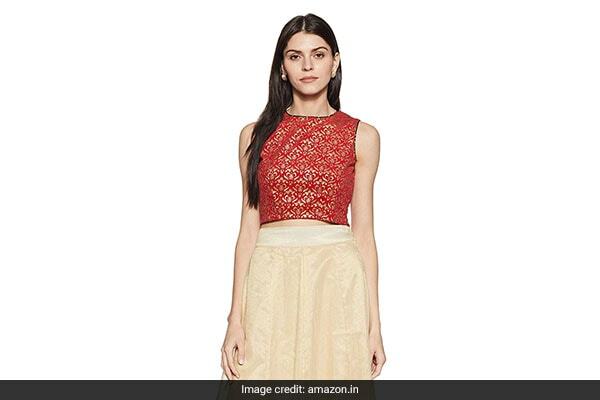 Keep the saris plain to let the crop top steal the show. 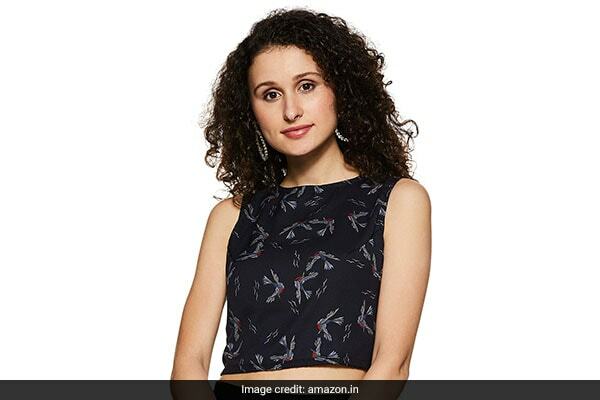 The Miss Chase Women's Navy Blue Printed Crop Top may be printed, but that shouldn't stop you from going print-on-print. That's because it's subtle enough to accomodate it. PRO TIP: pair it with whites, blacks, silvers, reds, oranges and yellows. Then finish with hoops. We'll finish the list with the brightest crop top of the lot -- the Veni Vidi Vici Off Shoulder Crop Top. You're sure to make a statement with its bare shoulders. PRO TIP: pair brights with more brights if (reds, blues, greens) to have fun, or strike a sharp contrast with a black number. Have you ever worn a crop top as a sari blouse? Tweet to us @HotDeals360 to let us know your hacks and reviews.